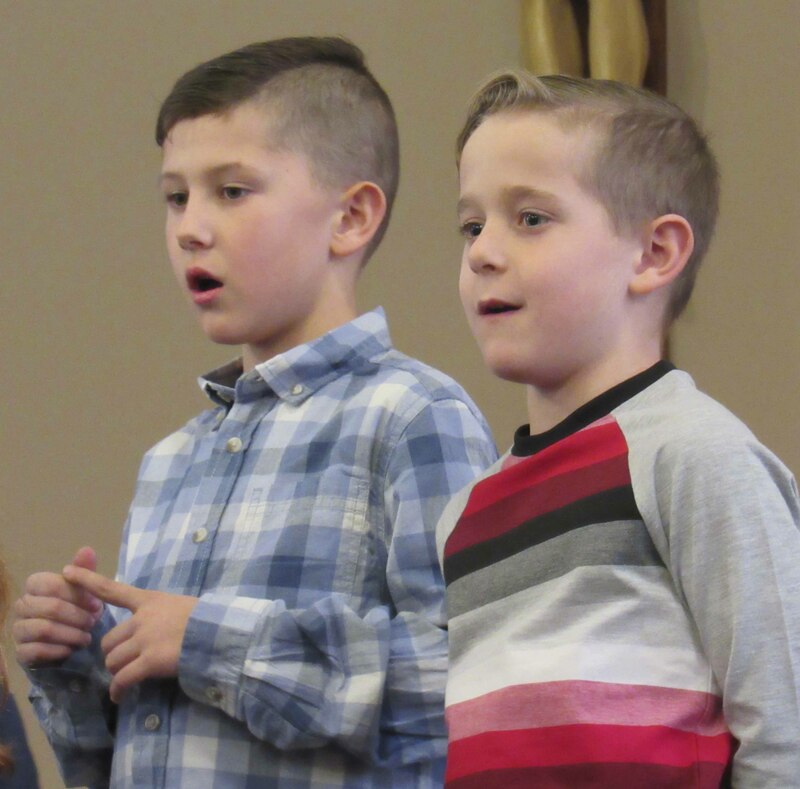 Sacred Heart first-graders Hayden Hackney and Wyatt Wilson belt out a song during their Dec. 15 Christmas program. 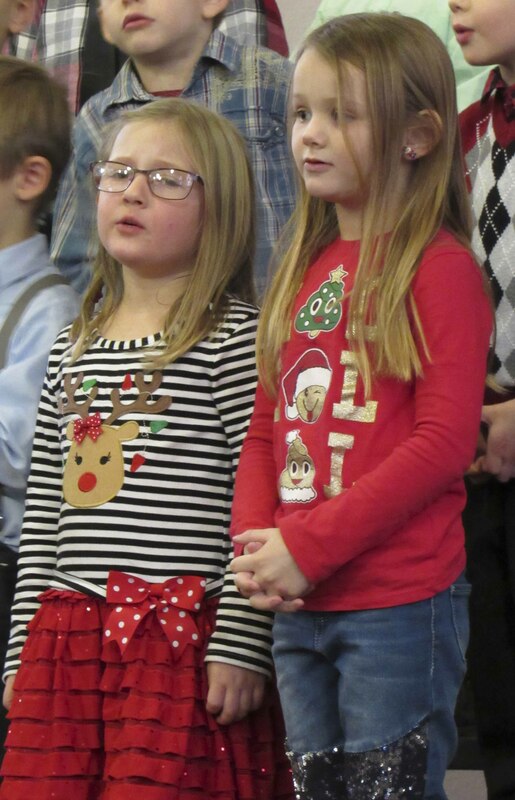 Kindergarteners Harper Russell and Hayden Donovan perform during Sacred Heart School’s Dec. 15 Christmas program. 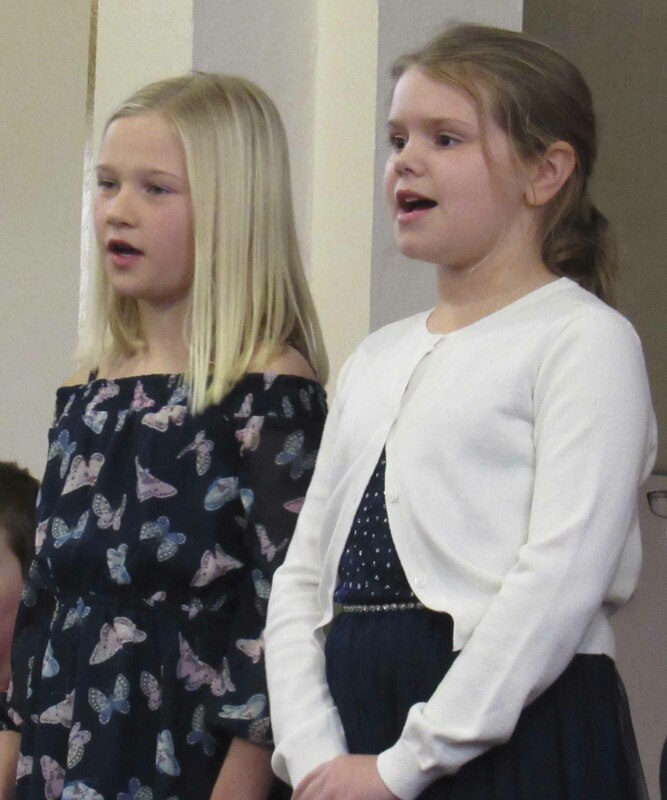 Seventh-graders Bailey Lester (left) and Emma Bradley perform at the middle school concert. Between them farther back is Dori Paddock. 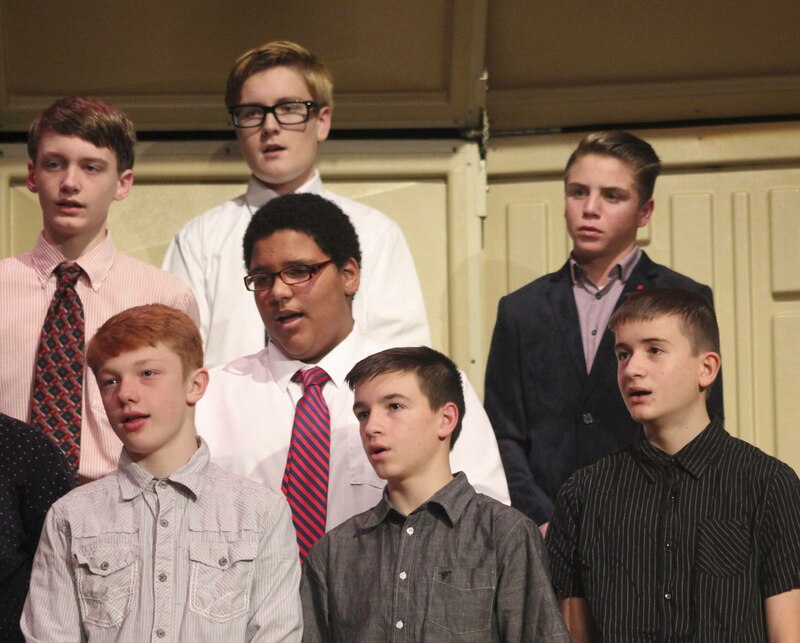 Eighth-grade boys sing during the Dec. 12 middle school concert. They include, first row from left: Brendan Koppes, Owen Ray and Jordan Reth. Second row: Tyrese Gudenkauf. Third row: Sully Flynn, Will Dotterweich and Rylan Cooper. 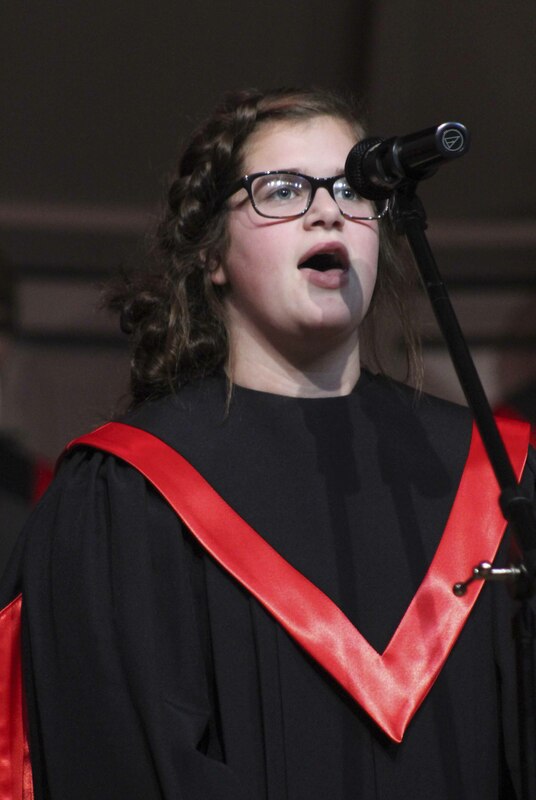 Mya Boffeli offers a solo at the high school vocal concert Dec. 11. 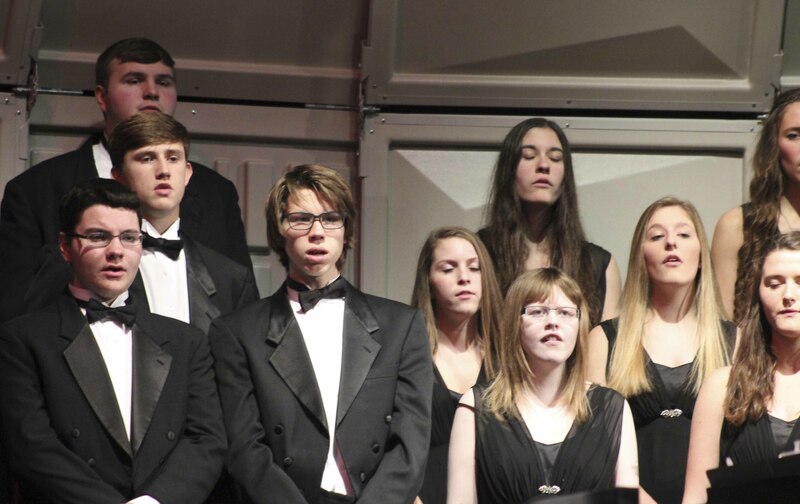 Chamber Choir singers participating in the concert include, first row from left: Matt Fokken and Dalton Hampson. Second row: Mason Kraus. Third row: Scott Lange. 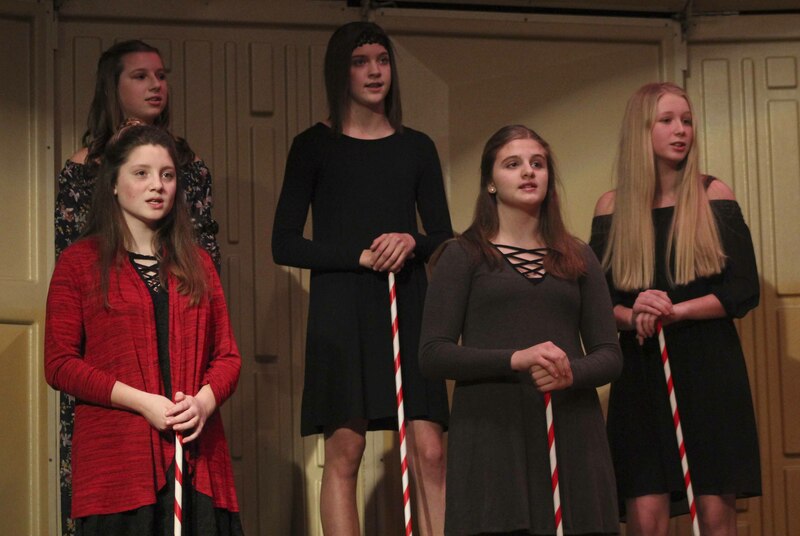 Grade 7-8 Opus auditioners sing “Holiday Lane” during “It’s Beginning to Sound Like Christmas,” the vocal concert Dec. 12 in the Monticello Middle School Auditorium. Among them, first row from left: Rylee Sanders-Fleming and Bella Mullen. 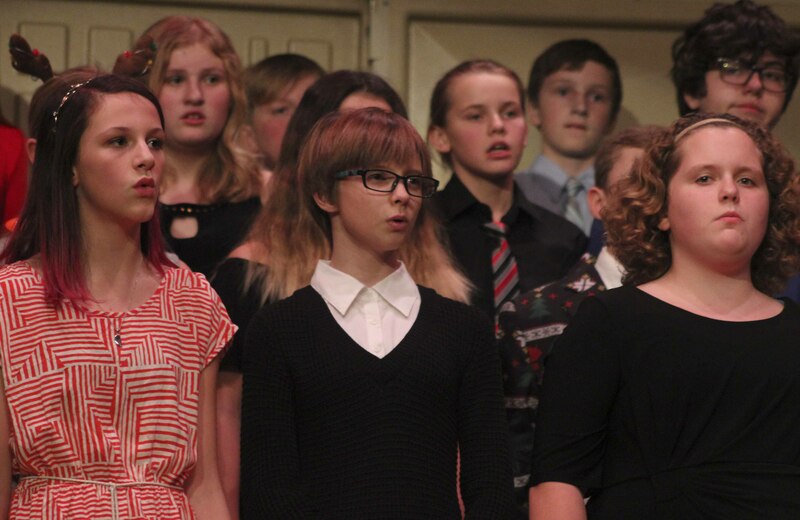 Second row: Mia Jaeger, Madison Butterworth and Faith Hansen. 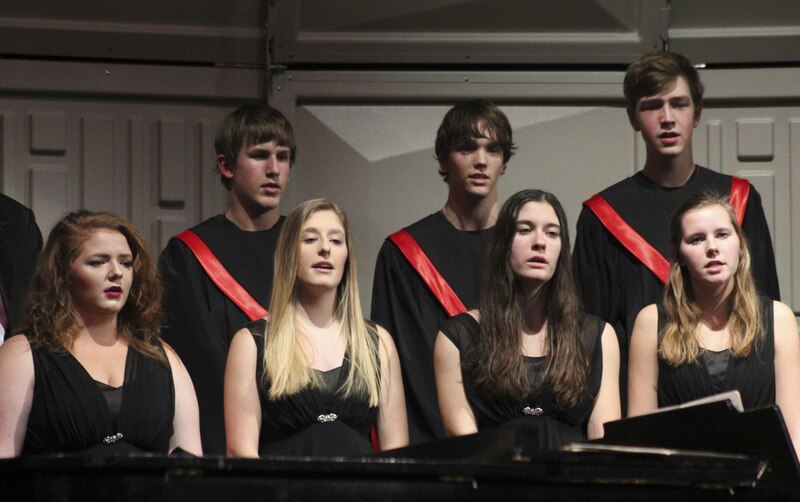 Forte Singers perform during the Winter Choral Concert Dec. 11 in the Monticello High School Auditorium. Among them, first row from left: Kiley Wall, Shelbie Reyhons, Anna Loes and Sophia Ahlrichs. Second row: Ben Oswald, Chase Sternhagen and Jeff Carlson. COLUMN: 'Tis the season: bowl season!